Steppers don't require encoders since they can accurately move between their many poles whereas servos, with few poles, require an encoder to keep track of their position. Steppers simply move incrementally using pulses [open loop] while servo's read the difference between the motors encoder and the commanded position [closed loop], and adjust the current required to move. Some performance differences between Stepper and Servos are the result of their respective motor design. 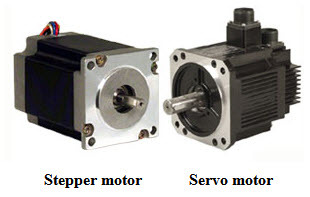 Stepper motors have many more poles than servo motors. One rotation of a stepper motor requires many more current exchanges through the windings than a servo motor. 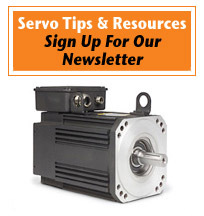 The stepper motor's design results in torque degradation at higher speeds when compared to a servo. Using a higher driving bus voltage reduces this effect by mitigating the electrical time constant of the windings. Conversely, a high pole count has a beneficial effect at lower speeds giving the stepper motor a torque advantage over the same size servo motor. Steppers are simpler to commission and maintain than servos. They are less expensive, especially in small motor applications. They don't lose steps or require encoders if operated within their design limits. Steppers are stable at rest and hold their position without any fluctuation, especially with dynamic loads.